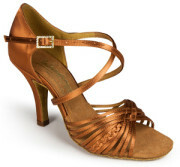 The Bela Latin Dance Shoe is a beautiful 5-strap T-Bar sandal that offers classic style and comfort. As seen below it is worn by many of todays leading Amateurs and Professionals, this is a simple style that is always in demand here at Duo Dance London. 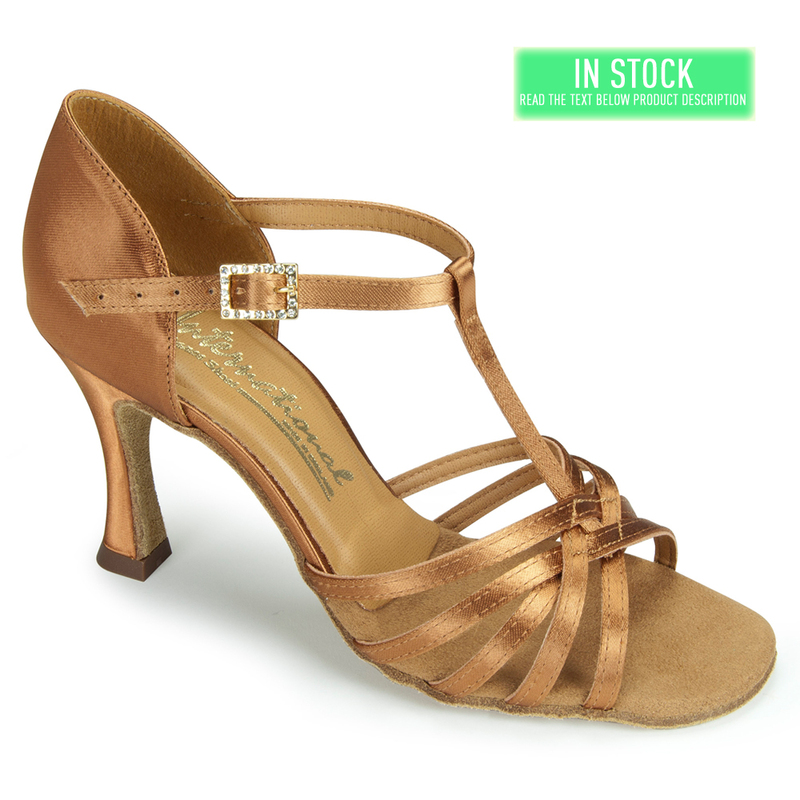 The Bela Latin Dance Shoe comes in Tan Satin with a choice of 2 heels, a 2.5″ IDS or a 3″ IDS heel. It is a T-Bar design with 5 straps giving the foot maximum support. The shoe is available in UK Sizes 2 – 8 including half sizes and comes in a regular fitting. If you would like a different heel or a different width, please email us at info@duodance.co.uk. At International, anything is possible and your “made to order” shoe will only take 2-3 weeks to manufacture. Here at Duo Dance, we find that International Latin Dance Shoes are a generous fit so go with your regular UK shoe size, maybe even go down a half size? Suede sole to ensure perfect grip and glide on all dance floors. International IDS Heel Protectors in Plain tips. Worn by: Katya Jones (UK Professional Latin Champion), Lauren Mcfarlane-Hemera (UK Amateur Latin Champion), Sandra Overballe Pedersen (Denmark Junior Champion), Rebecca Scott(UK Junior Champion).